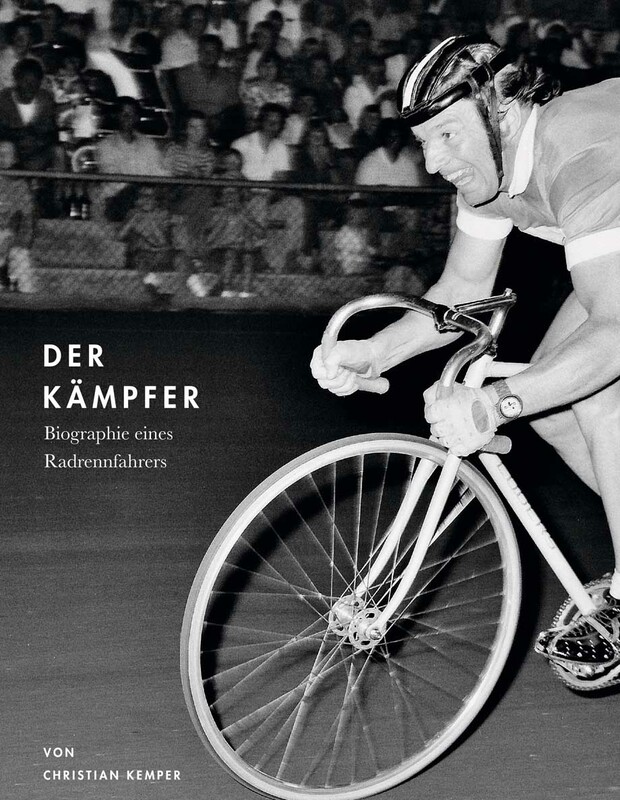 Interview: The sad passing of track star Dieter Kemper put Ed Hood in contact his son, Christian who has published a biography on his father's career, in their native German tongue. Christian runs through his father's race statistics and translates part of his book, just for our enjoyment. 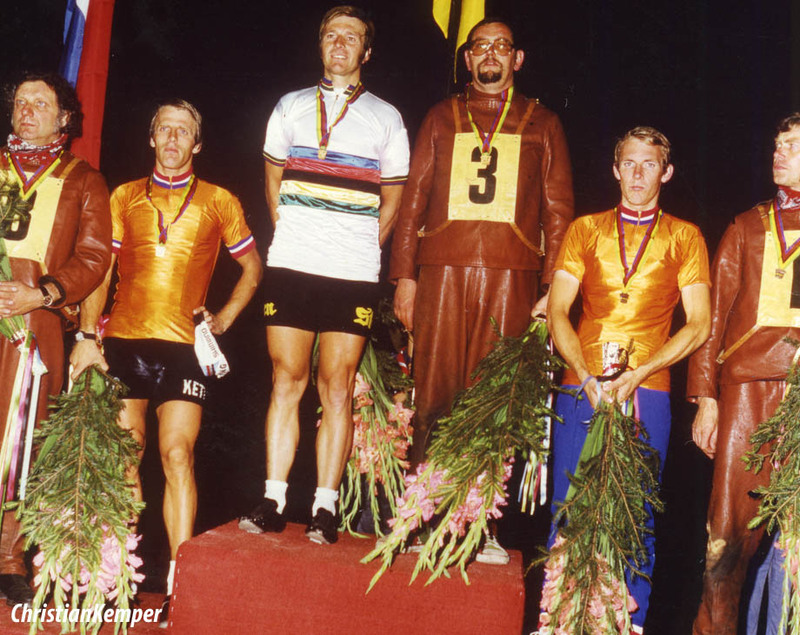 PEZ recently published an obituary to six day ‘Great,’ Dieter Kemper. 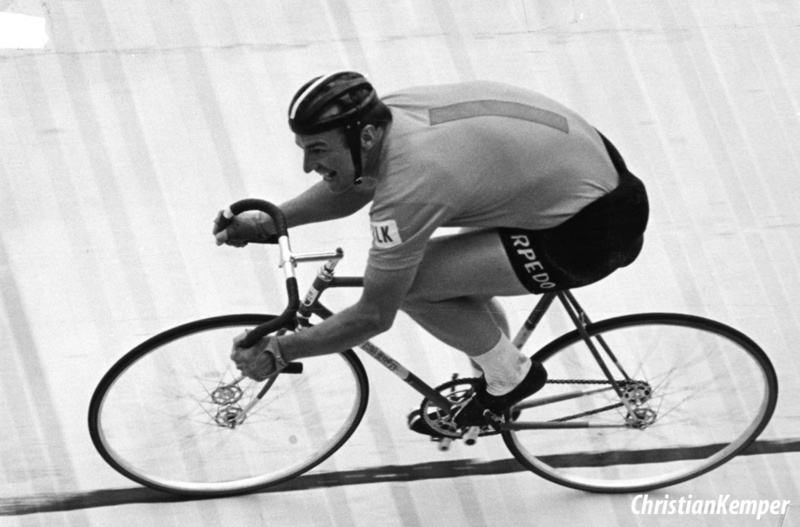 Dieter’s son, Christian recently published his father’s biography – unfortunately not yet available in English – and kindly agreed to talk to PEZ about his memories of his father, the six days and German Cycling. PEZ: Remind us of your father’s career statistics please, Christian. Twice Athlete of the year from Dortmund. PEZ: He had many partners in the sixes, why? 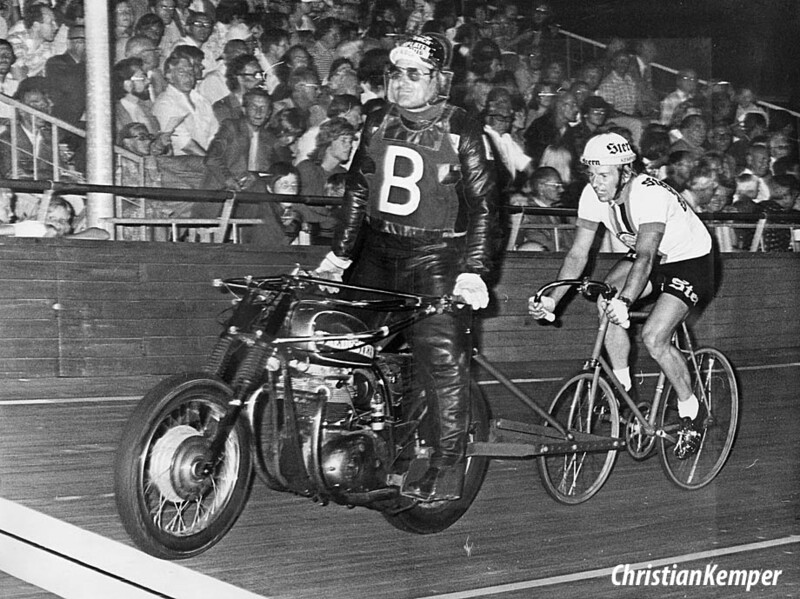 He had a total of 38 partners but raced 66% (113 races) with only 4 partners: Bugdahl 48, Oldenburg 42, Gilmore 15 and Altig 8. Sometimes he wasn’t calling the shots and had to take the partners that the organisers gave to him. 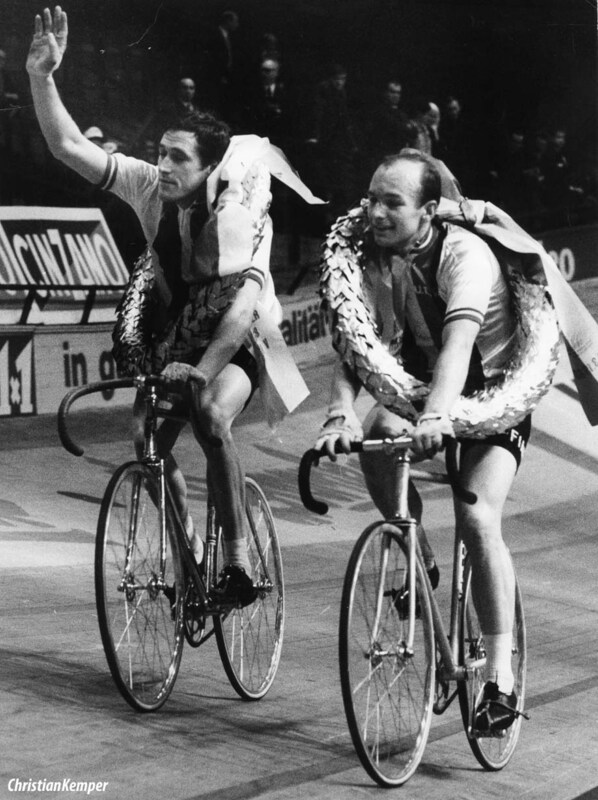 (These stats vary from the ones we extracted from Danish six day race ‘bible,’ the now no longer published ‘Statistieken:’ 165 starts [with 20 of those coming in Berlin & 17 in Dortmund] with 50 different teammates; his most successful pairings were with Horst Oldenberg, 7 wins off 48 starts and Klaus Bughdahl 7 wins off 43 starts – he finished 153 of those 165 starts with 26 wins, these came in Berlin (3), Bremen (2), Cologne (4), Copenhagen (1), Dortmund (3), Franfurt (1), Groningen (2), Melbourne (2), Milano (2), Munchen (1), Munster (3) and Zurich (2). PEZ: Who was/were his favourite partners? 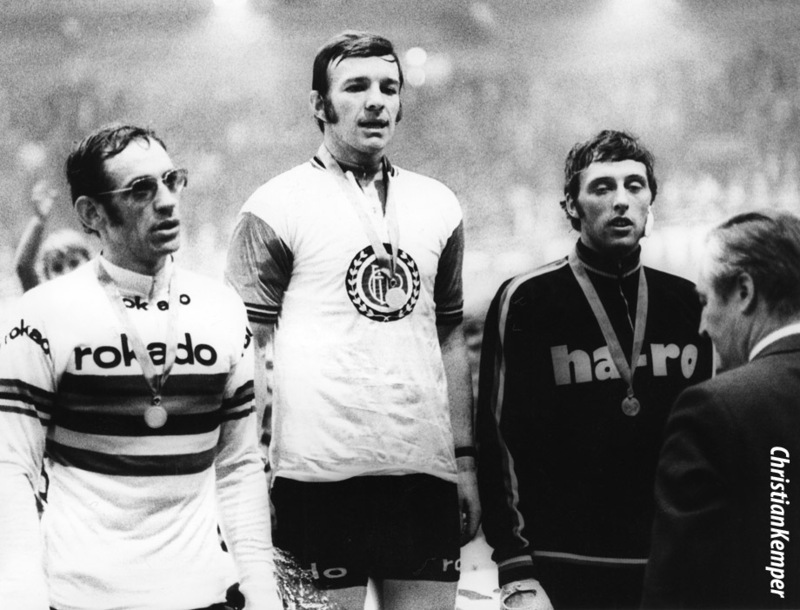 Klaus Bugdahl, Graeme Gilmore and Horst Oldenburg. They were the best but he also had most of the fun with these guys! 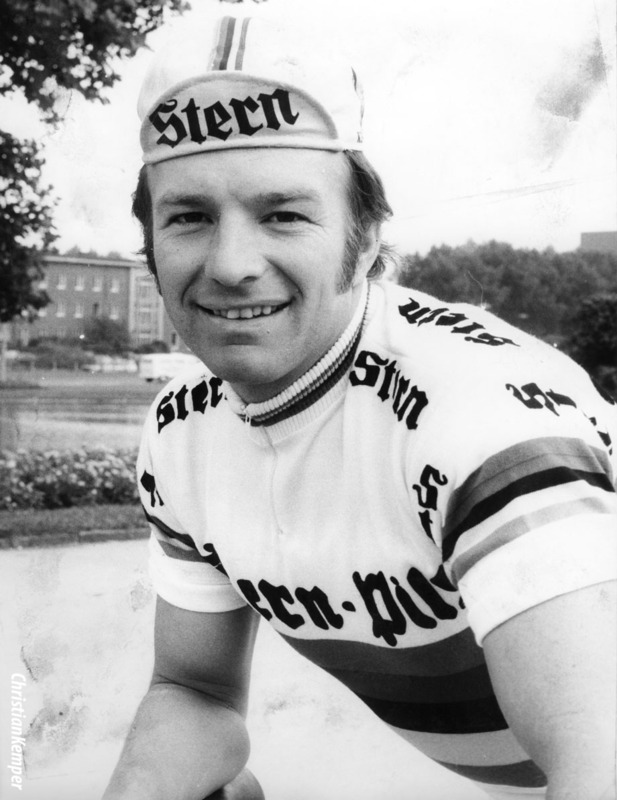 PEZ: Do you have many memories of him as a professional cyclist? 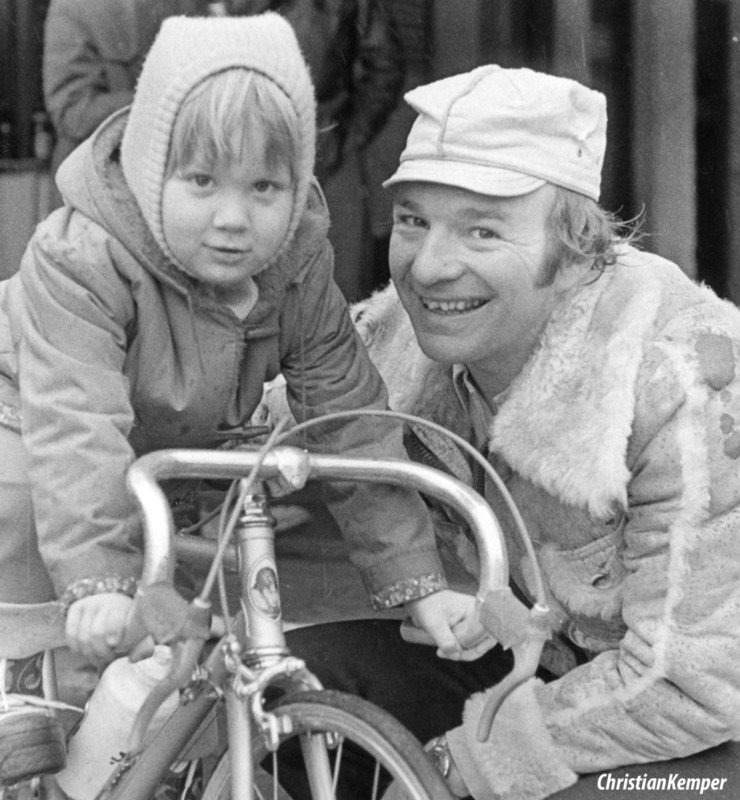 I was too young when my father raced, I just knew him as ‘Dad’ and not as a cyclist. 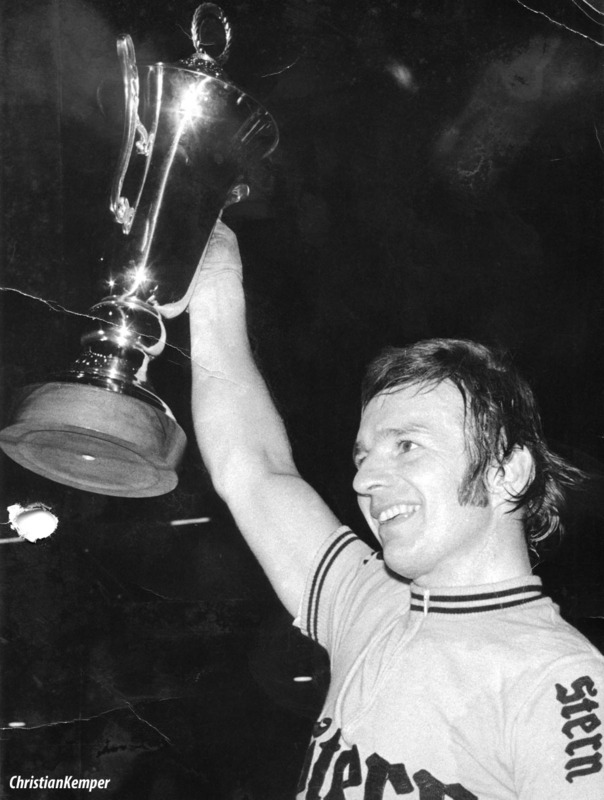 I have brief memories that he took me on his bike a couple of times after a race in order to do a ‘lap of honour.’ If I had really seen him racing, I guess I would’ve become a cyclist myself. . .
PEZ: Is this your first book and how long did it take to write ? It was actually my fourth book, I have written books about sharks and crocodiles before since I am a scuba diver. My real profession is TV journalist but I took up writing for magazines and websites for the fun of it. It took me one year to research and one year of writing the biography about my father. Long nights of reading old articles and talking to my father, listening to his stories and anecdotes – much fun! PEZ: How has the book been received? For example, the book has five 5-star-ratings on Amazon and the people who read it all like it very much! The problem is – not many people know it’s even out on the market! Cycling in Germany is not big anymore so I couldn’t find a big publisher for the book. Meaning, there is absolute no advertising or marketing for the book apart from what I can do via Facebook. My dream is to find an English publisher who will translate it and do some proper advertising for the book. PEZ: Did/do you ride a bike/race? I did cycling just for the fun of it and practised with my father. I accompanied him to two training camps in Italy where he was the coach, but I was already 22 – too old to start a career. I studied sports journalism, sports science and physical education at the Sports University Cologne where I took up cycling as well. But I never joined a club nor ever competed. 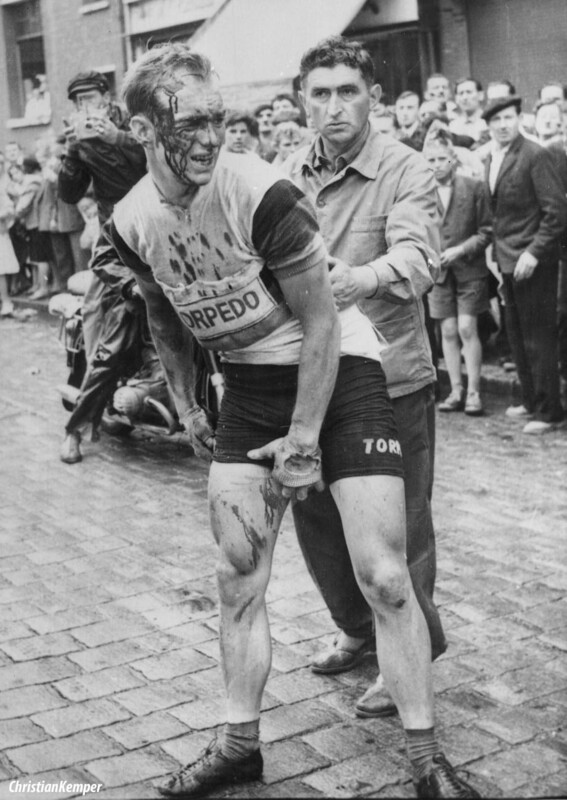 My father told me; "If you want to be a professional cyclist, it has to come from within because it’s so hard! It’s useless if I tell you to do it, if you don’t want it yourself." PEZ: In researching the book were there things which "opened your eyes? A few of things: Firstly; how hard it was to be one of the best during the ‘golden days’ of the sixes. Secondly; how my dad was as a very good all-rounder. Most ‘giants’ specialised in a certain discipline – my father did (almost) everything. 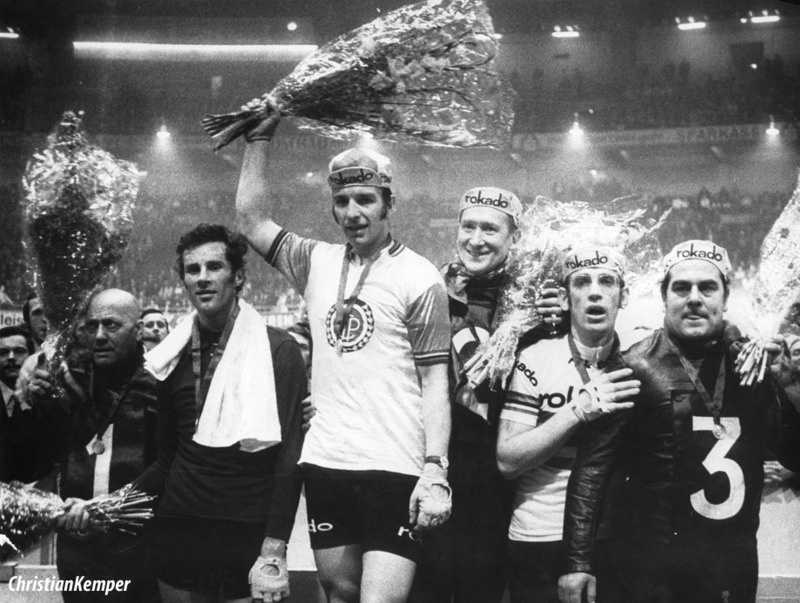 Thirdly; how many cyclist used doping even back then (Merckx, Anquetil, Altig, Coppi, Faggin – all the big ones!) Lastly; The amount of bribery which went on. PEZ: Are you a fan of the six days? Yes and no. I go there occasionally but for someone who’s not really into cycling I think the rules and tactics are hard to understand. I take my 6-year old son Samson when I go now, maybe he will pick up cycling as a sport someday? 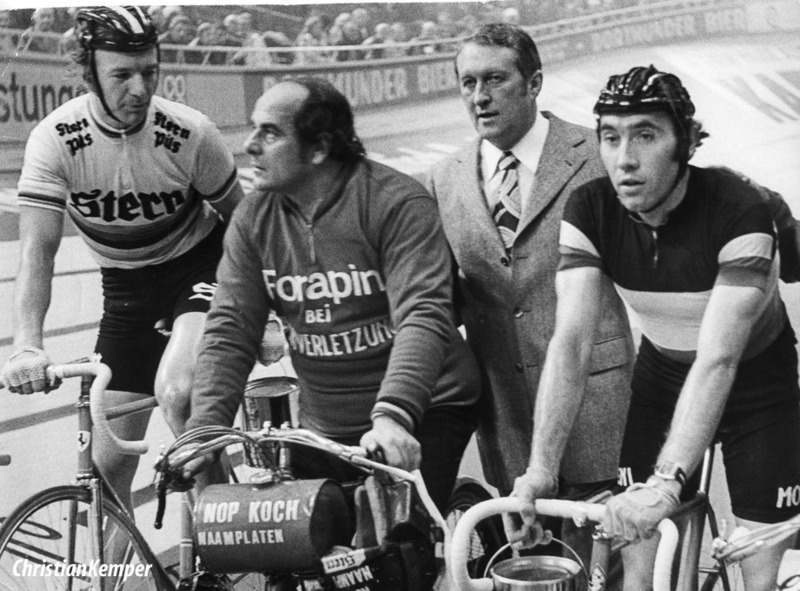 PEZ: Your dad was World Stayer Champion; did he speak much about the 'arrangements' which eventually saw the UCi disband the title? PEZ: Did he speak about the value of a European or World title to the six day promoters? The titles didn’t bring you money first hand, but you would get good contracts for upcoming races like the 6-days. 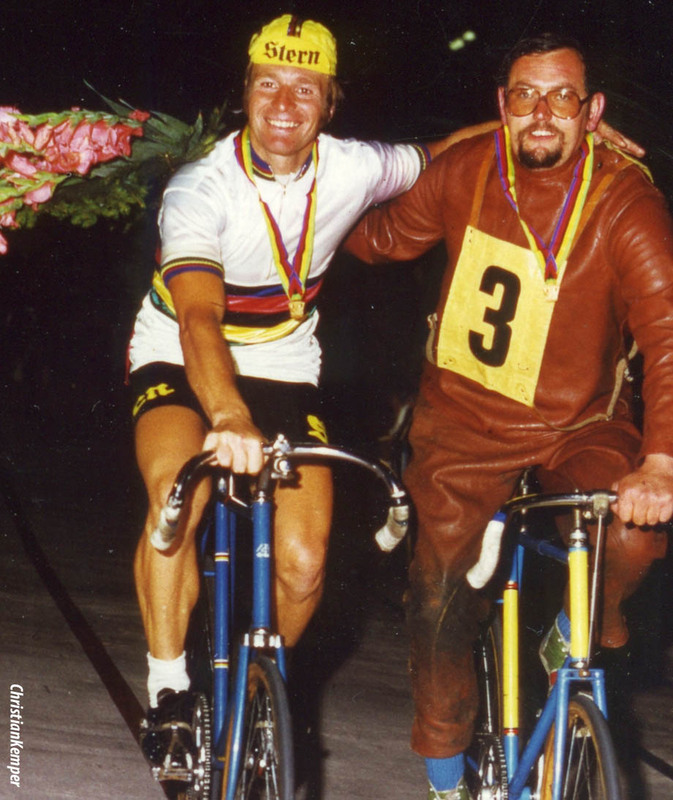 He felt bad because only one year after winning his world championship title – and getting big money - he had his terrible crash and had to stop cycling – no more contracts. He could’ve made a lot more money if his career had taken on for a couple more years. PEZ: He was a good pursuiter too but was around at a bad time - his rivals were some of the best ever. Faggin knew my father was very strong. 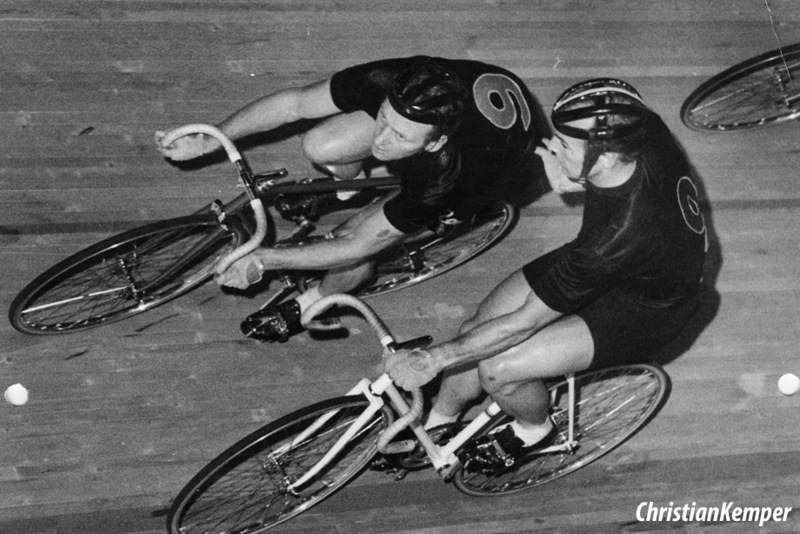 In a pursuit race in Australia (with no title involved) the Italian came up to my father and said: "Dieter, there are so many Italians here in Melbourne – would you let me win this race please?" My father answered: "No Leandro, you won against me so many times. I want to beat you if I can." 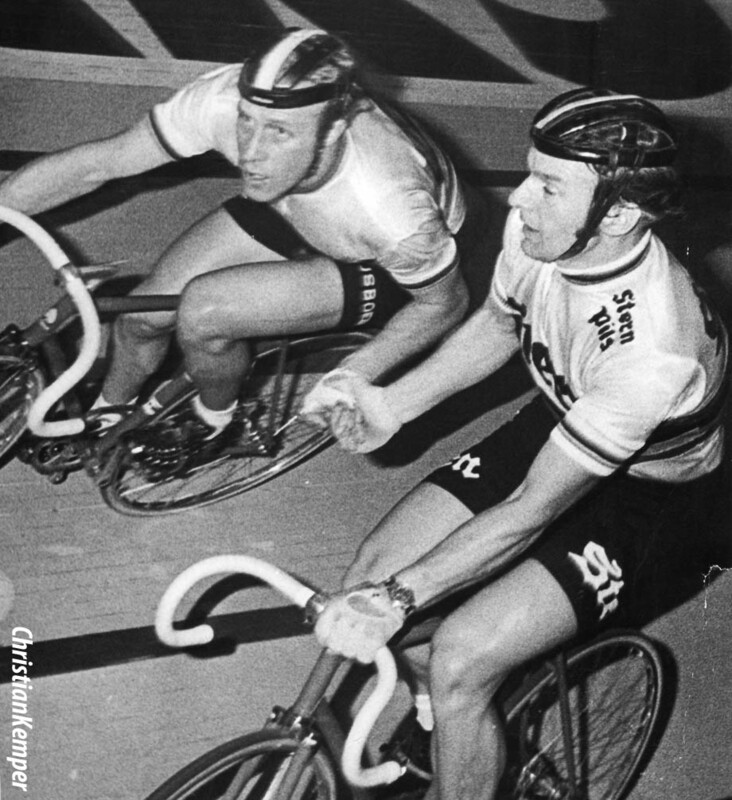 Since there wasn’t a world championship or some other big title at stake, my father wasn’t nervous at all – and won the race against Faggin easily! PEZ: Did he speak about the decline in the German Six Days in recent years? No. Somehow he lost interest in it. PEZ: How is cycle sport faring in Germany, these days? After the decline of Jan Ulrich it seems nobody really cares. The broad majority watches only the Tour de France but are appalled by the doping issue. It seems not the best athlete wins but the best doping users, who has the luck of not getting caught! PEZ: What did your dad do after he quit racing? 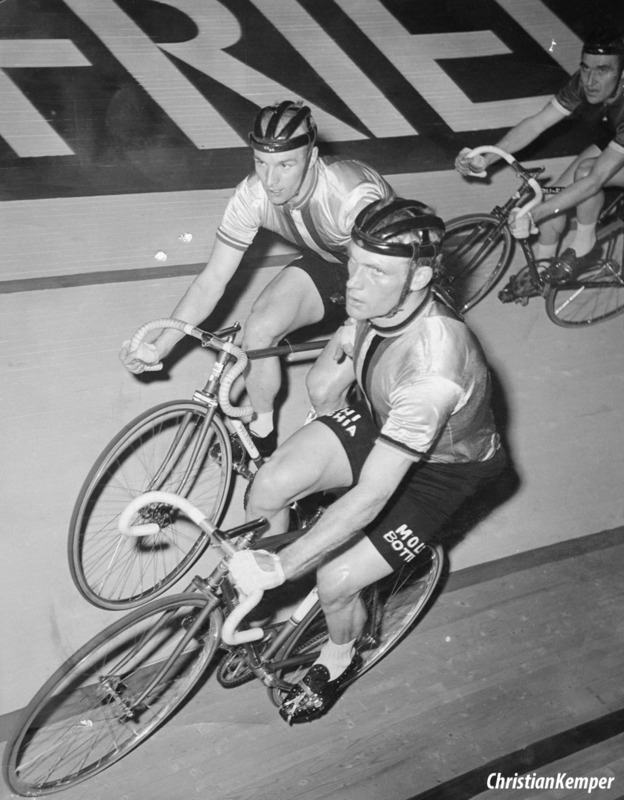 He was a coach for the stayers for the Bund Deutscher Radfahrer (German Cycling Association). 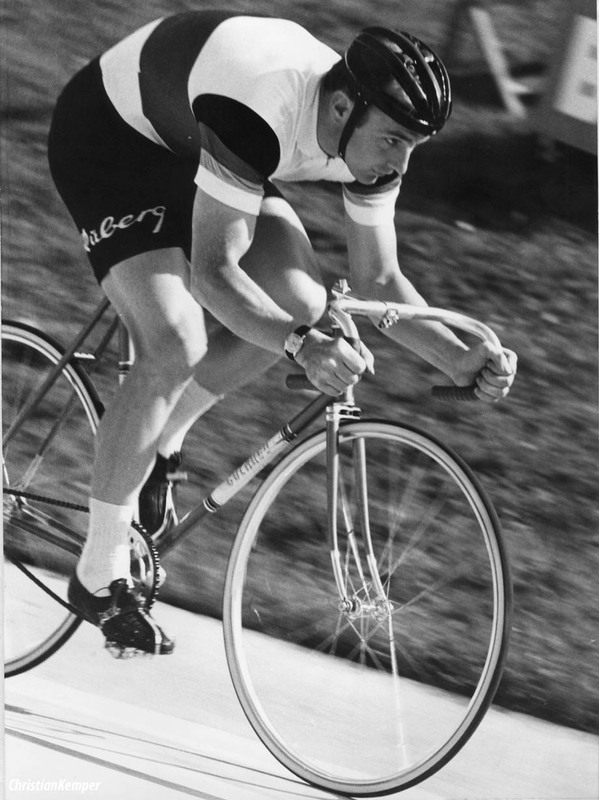 His guy Rainer Podlesch became world champion for the amateurs in 1983 in Zurich. After that he opened three bike shops in Dortmund. PEZ: What's the next book about? I already published my fifth book. It’s about shark attacks again and for the first time, written in English. It’s called ‘The Fear Beneath.’. Photos supplied by Christian Kemper.